top right of the page for links!). This is such a great idea. 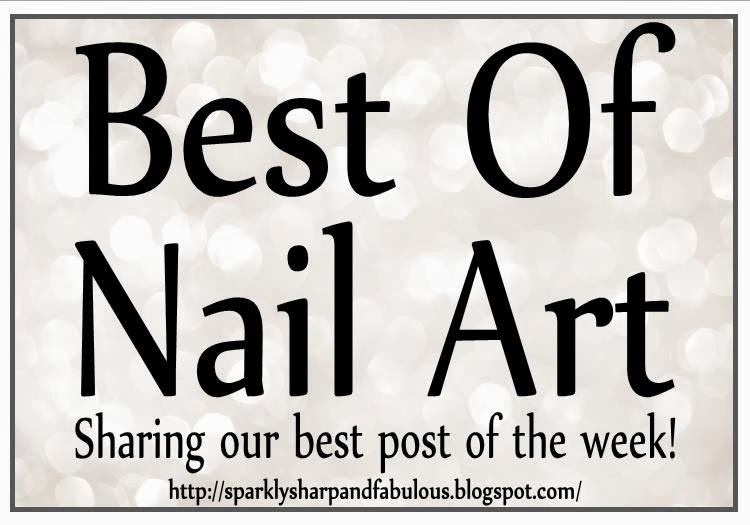 I love to see different nail art and discover new blogs. Thanks Erin, I am looking forward to seeing all of the submissions! 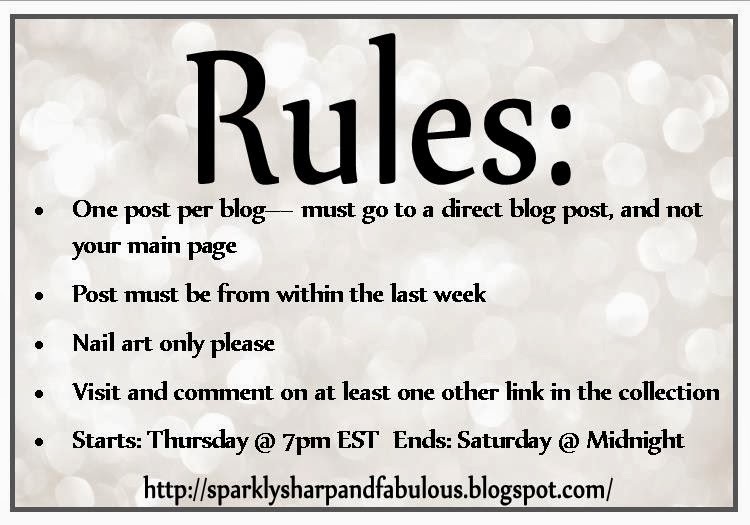 I've already found some talented new blogs to follow, and there is still time to enter. Oh of course, it is completely my pleasure! Thank YOU for stopping by and sharing your pretty nails Sam! this is deena from deevine deezine. I LOVE the idea of this page. I do not have a nail art blog – I only have youtube – so I cannot contribute. but, i'm excited to see what everyone else is doing 🙂 merry Christmas and happy holidays!! Yay! Glad you got yours up 🙂 I should probably clarify it better in next weeks posts. As long as the link tool will pick up your link (or let you upload it), images from blogs, pinterest, nail art gallery, instagram…can all be used as long as they are your original nails of course. I just created a nail art gallery profile 🙂 are you on there? how can I follow you? Following is pretty easy, just get to my profile page, and right near the name you should be able to just click on the "follow" button. I think that's about it! Glad to have you! Awesome, looking forward to having you next week Cristina! These are all gorgeous once again!!! Absolutely! These ladies continue to surprise and amaze me with their designs. I can't wait to see what 2014 brings!